Join your Highland Park neighbors and friends outside to Walk As One At One on Saturday, May 5, 2018 at 1 p.m. Learn about this "prayer path," how to draw one on paper, and walk the labyrinth created at National Night Out last August. 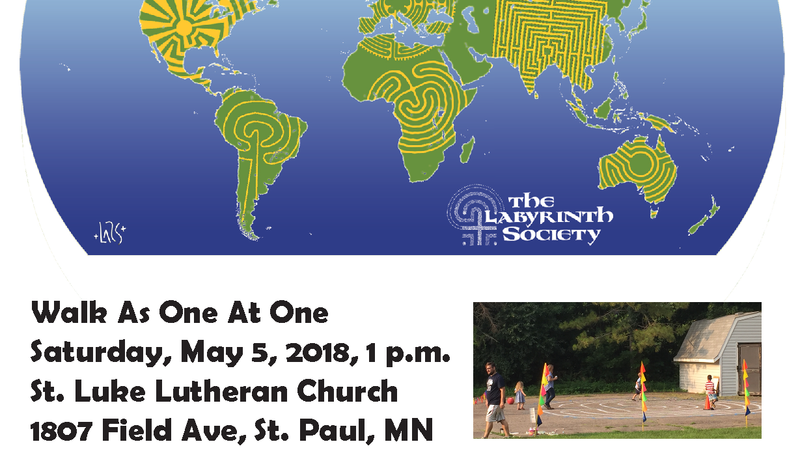 Invite others to this local World Labyrinth Day event. Contact labyrinths@pointsoflightmusic.net or 612-756-8011 with questions.